First thing it to know the precautions and contraindications for Autism from the PATH Intl Standards Manual. This will help you know what to be aware of or stop the lesson for. Wanders off, may get lost, may hide from those searching for them. Ensure adequate supervision. May not respond to “no” or tone of voice. Unable to evaluate a participant’s pain/distress level. Refusal to wear a helmet. Before interacting with any rider it’s a good idea to learn a bit about them from their paperwork and team. 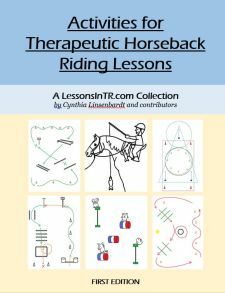 Riders with Autism may need some additional research for you to know their specific behaviors and how to handle them. Consider creating an additional form for new riders with Autism asking about the following, or include these questions in your intake interview. By doing a little extra research you will be able to plan your lessons better, know how to treat and touch them, and understand their motivations. How do parents/teachers communicate with them? What augmentative tools are used? What is the typical processing time for both expressive and receptive language? How many words can they process at a time? How many steps can they follow? What kind of learners are they? Do they have sensory integration issues? What behaviors do they tend to exhibit when they do not understand or are not understood? What are their triggers for undesired behavior? What are the best ways to respond to undesired behavior? When is it best to hold your ground and push, or to back off? From your research, you shoulder be able to make appropriate decisions about the following lesson environment factors. Keep the set up the same at first. Many riders with Autism have an incredible memory for detail and are afraid of or bothered by change. Consistency helps create security through predictability, and helps the rider become aware of their position in relation to each object. However, some say that the more you change it up in the beginning the less likely you’ll have a meltdown when you need to change it. Your attitude has a huge impact on the child and family’s experience. Pelletier-Milet includes them on trail rides, a whole procession into the woods. She also includes the parent as a sidewalker to help transfer the child’s bond with the pony to the parent. Give them the opportunity to step back and let them have a fresh start. You watch their child without judgment, which allows them a fresh perspective. They should feel safe to step back at distance to watch their child progress and let him experiment on his own. Be compassionate and sympathetic. Have respect for them and what they have gone through. They have seen more specialists than you can imagine. 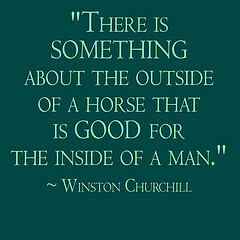 Use the horse to bring them hope. Once they develop confidence in you, you can share their fears, worries, achievements, and look to the future together. Help parents to make friends with other parents, so they can support each other. Have a community viewing area. Teach in groups to bring them together. Up next: Lesson Planning, Progression, and Strategies! Gabriels, R.L., Psy.D. “NSC Positive Behavior Management Strategies.” Handout. Based on Growing up with Autism: Working with School-age Children and Adolescents. 2007.